Grade your students, get feedback from your customers or engage with your website audience with this tool. 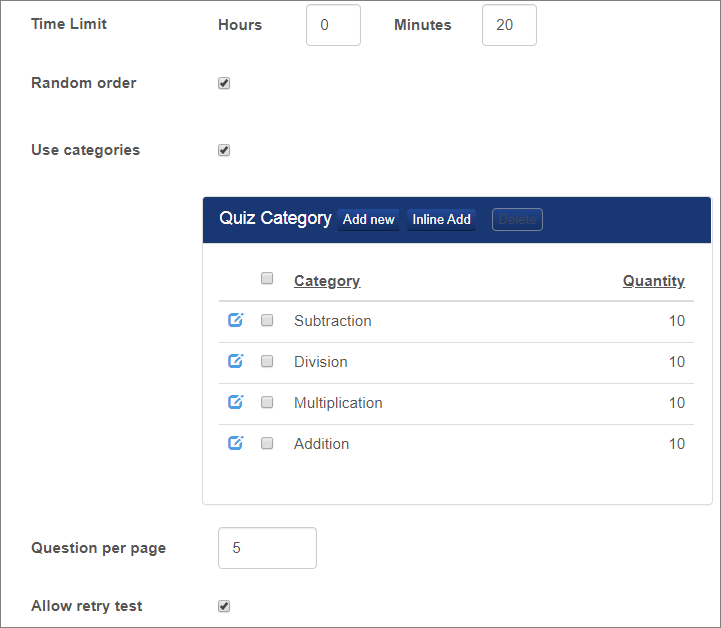 This template helps you build simple multiple choices quizzes and collect data you need. For a limited time you can get this template for $50. 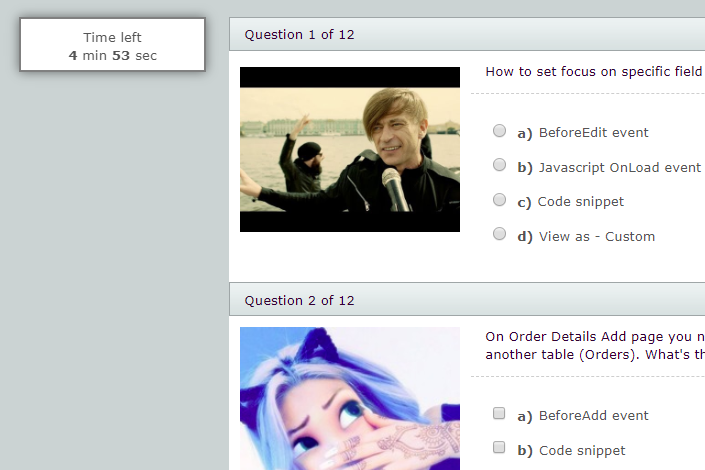 If you are already own Quiz template v1 or v2 you can upgrade to version 3 for $25. 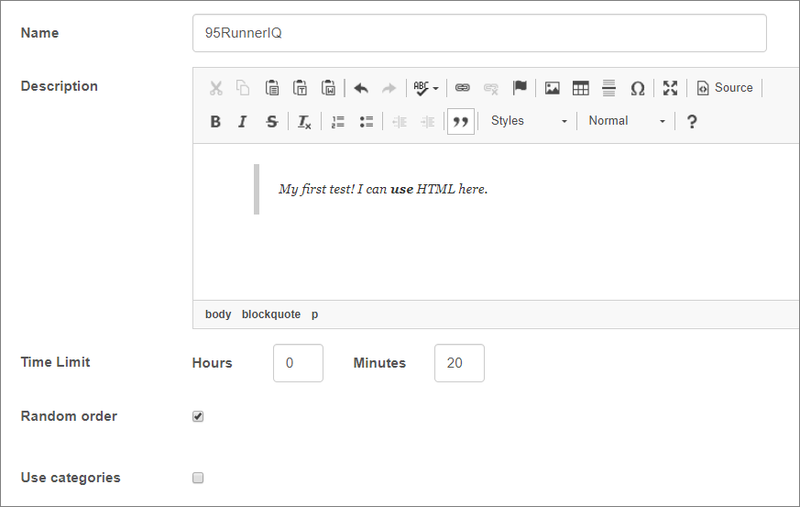 Note: Quiz template v3 requires a valid license of PHPRunner 10x or ASPRunner.NET 10.x. Login as an admin and proceed to the tests table. Add a new test. Add questions for this test. Add answers for each question. Make sure to mark one of answers as the correct one. Add messages (optional). Make sure to specify the range (min and max score values that triggers message to be displayed). This it. Now you can click "Take test" link next to test name to take quiz. Lets say you need to build a math test for third graders. You have a total pool of 200 questions split into four categories: Addition, Subtraction, Multiplication and Division. You need to display ten random questions from each category. Multiplication and Division questions cost 2 points, Addition and Subtraction questions cost 1 point. Create test. Enable random order and use categories. Add questions and assign categories and points. Add answers and mark correct answers. Set number of questions per page to some reasonable number like two.